The PEERS Project which aims to help councils control rapidly rising and volatile energy costs, has been underway for several months now. This update has been prepared to keep councils abreast of what has been achieved so far across the four different workstreams. Three Energy Efficiency panels have been put in place to provide expert consultancy advice on Metering and Sub-metering, Lighting Solutions and Heating, Ventilation and Air Conditioning (HVAC). The uptake by councils of these panel suppliers has been very strong, particularly in the Metering and Sub-metering area. The Metering and Sub-metering services included powerful data analytics that councils are finding useful in pinpointing energy savings opportunities. To find out more about the above panels, including agreed company profiles, pricing and terms please contact Nicholas Shea on 02 83963800 or nicholas.shea@ssroc.nsw.gov.au; or Jennifer Revell at jennifer.revell@ssroc.nsw.gov.au. A Retail Gas Request for Tender (RFT) was launched in November and finalised in December last year. The outcome was a great one for councils with large sites. By working together, councils achieved a markedly lower price than was available than if councils had contracted on their own basis. The large sites contract was awarded to Origin Energy and all large site accounts are being successfully transferred from 1 January 2018. A one-year contract was signed as the gas market is forecast to soften in 2018, at which point SSROC may be able to achieve better prices for councils in the market. After careful review against other market offers, it was recommended that councils remain on the NSW State Government C4000 contract for small market sites as this provided a better pricing than the RFT could achieve. All participating councils were able to register their sites in sufficient time to meet their needs. The Retail Electricity RFT was launched in November and also closed in December last year. By working together as a large group and getting the timing right, councils in the SSROC process are understood to have achieved one of the lowest prices available last year. The retail electricity contract was awarded to Origin Energy for small sites, large sites and street lighting. Start dates vary by council, with some accounts transferring from 1 January 2018 and most from 1 July 2018. 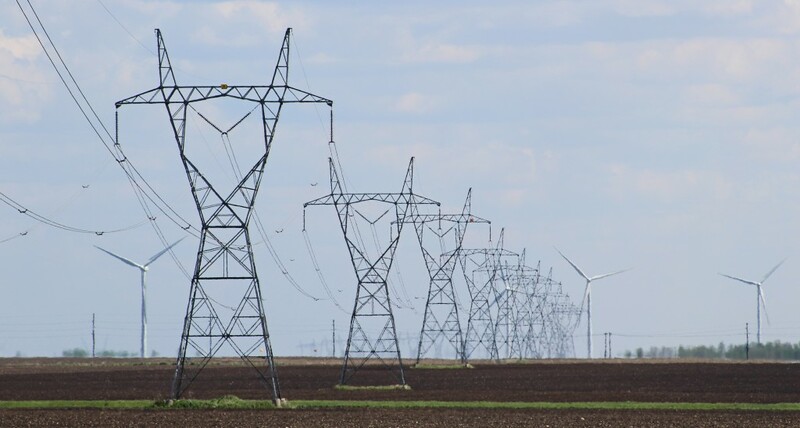 Based on forecasts about falling prices in the electricity market, a shorter duration contract was signed with all sites co-terminating on 30 June 2019. Seventeen councils participated in the SSROC process and, with the assistance of dedicated council staff, all contracts for retail electricity were signed and returned to Origin Energy within four days of receipt. This was a remarkable effort and assures councils of lower costs for the coming year than they were otherwise facing. To date, transfers of accounts appear to have gone well, with approximately 86% of all small sites already cutover and all the large sites from 1 January 2018 transferring successfully. A full report and supporting technical report on this process has been distributed to councils. SSROC anticipates that it will go back to the market following a further downturn in pricing in a period of low demand later in 2018 for retail electricity, with most sites commencing on 1 July 2019. This innovative renewable energy procurement process for a minimum of 30 GWh (typically 20% of each council’s energy needs) is seeking opportunities for councils to lower their energy costs while also meeting some environmental and risk mitigation objectives in a highly volatile electricity market. As many will have observed in recent media coverage, others organisations are currently pursuing a similar strategy (e.g. UNSW, City of Melbourne, University of Technology and a number of large corporates). The Renewable Energy RFT went to the market in November 2017, in conjunction with the retail electricity RFT and is continuing to progress. No suppliers were able to meet all council requirements in the immediate term, but potentially attractive pricing was received for a start date of mid-2019. The Evaluation Committee has recently made a decision to enter into a negotiation phase to ensure that every opportunity is taken to obtain councils a long-term, stable pricing for renewable energy. SSROC will continue to keep your councils updated on the status of this ongoing process. To update all councils on the PEERS project and allow them to meet the suppliers, SSROC is organising an Energy Information Day on Tuesday, 27 March 2018 at a venue yet to be confirmed. Council staff from a wide variety of areas strongly welcomed a similar event held after the last contracts were awarded. Mark your diaries now, with further information to be announced shortly. SSROC will continue to keep your councils updated on the status of this ongoing project. Should you have any questions about PEERS, feel free to contact Jennifer Revell on 02 8396 3800 or jennifer.revell@ssroc.nsw.gov.au. Both the Renewables PPA RFT and the Retail Electricity RFT have been supported by the expert consultancy advice of Sourced Energy and Next Energy and overseen by probity advisors, Checks Balances & Integrity Pty Ltd.